If you mop and scrub your hard floors but can’t remove the soiling and grime form them maybe you should use professional cleaning services. This will save you time, efforts and ensure the perfect condition of your hard floors. Our company can offer you the most reliable and effective hard floor cleaning and polishing services in Wandsworth SW18 that will bring the best results. Our cleaning staff are supplied with modern machines and use suitable products for sanitising. 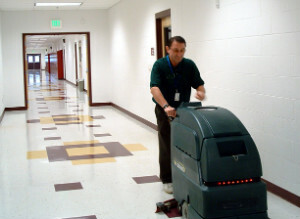 They can restore the cleanliness of terracotta, marble, tiled, grout and other hard floors. You can rely on the cleaners in our company to restore the presentable and spotless state of your floor. They use high-grade rotary machines which have brushed and can reach to grout, slates and all areas to remove grime and dirt. Our staff apply suitable cleaning products on each floor depending on its material: marble, stone, tiles, terracotta, vinyl and others. They can ensure the refreshed and impeccable state of your tiles, grout, slates, stone and other hard floors. Our hard floor cleaning and polishing services can be used in the Wandsworth area by property owners and holders of commercial estates. If you need help with the maintenance of your hard floor use our services which besides effective cleaning of the dirt include polishing of the area. The cleaners work with modern buffers and polishers to remove defects like dents, scratches, darkening and obstinate stains. They cover the slates, tiles and grout with sealants to make them glossy and resistant. We can make your property’s interior refreshed, clean and presentable. Our hard floor cleaning and polishing services are at your disposal in London SW18 during all days of the week. We offer them during weekdays, bank holidays and in the evenings without change of the price.